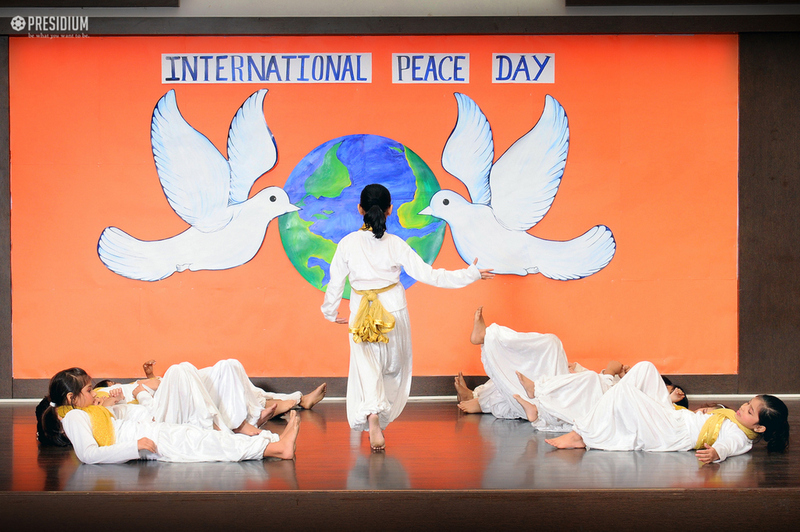 Peace Day was celebrated by Presidium Raj Nagar with great zeal and vigour. 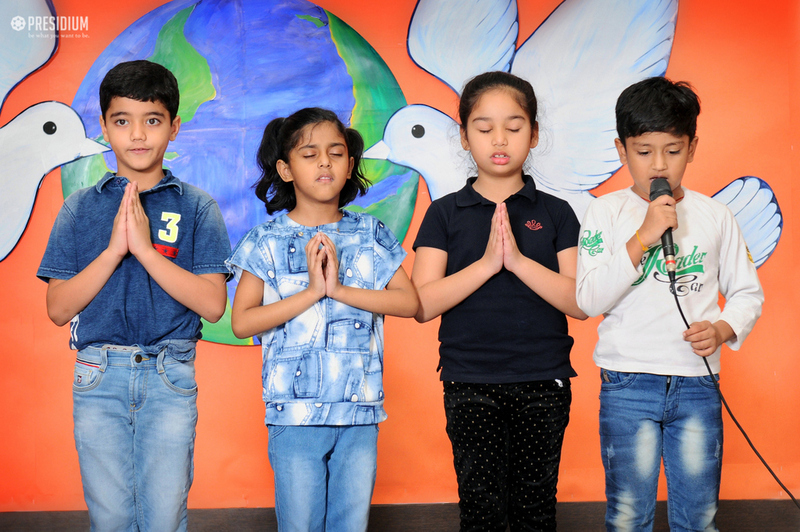 On the day of the celebration, the students, teachers and staff gathered in a Special Assembly which commenced with the school prayer. 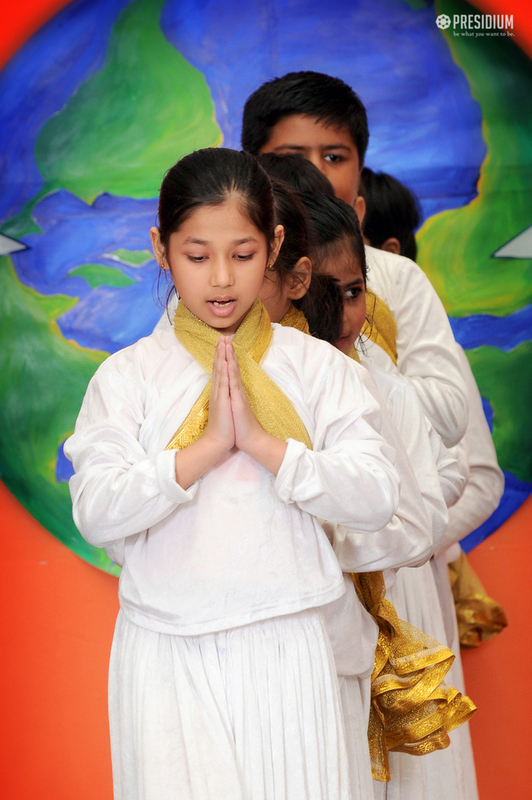 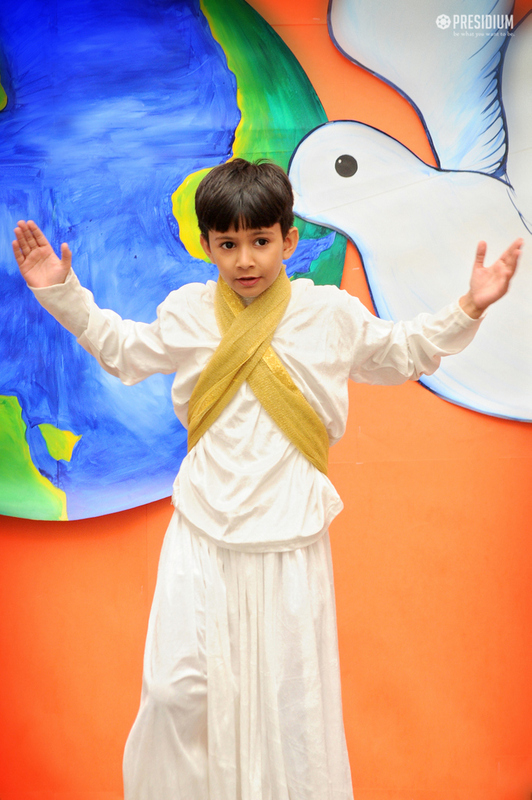 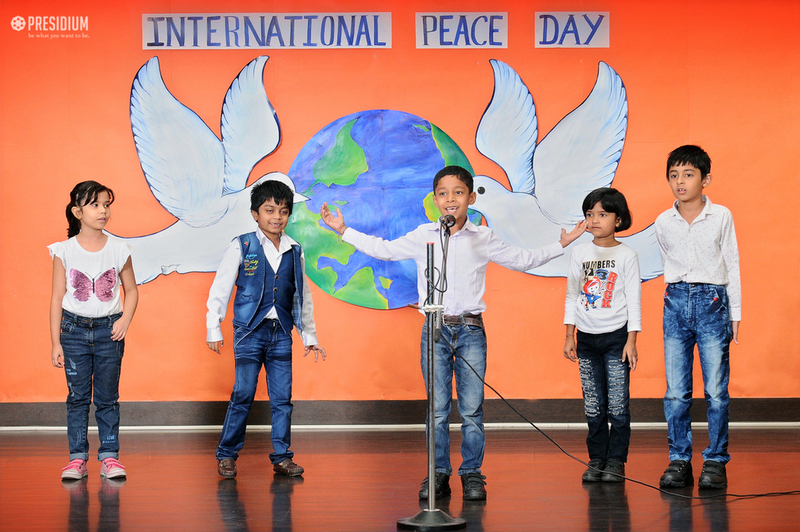 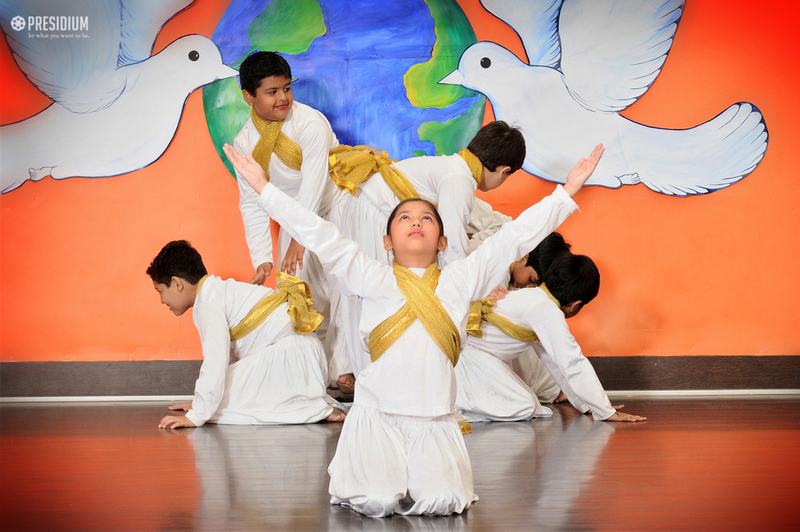 Students recited a poem on peace stating ‘All people together proclaim; now there is peace in this land.’ The air reverberated with the feeling of peace in our hearts and minds when the students sang a beautiful song ‘peace in the world’. 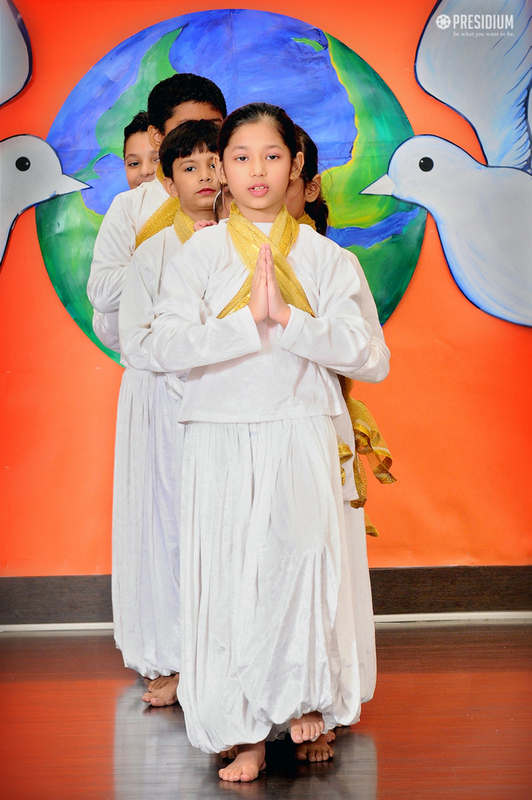 It ended with an inspirational speech by the Head of School on Gandhi’s famous expression, “Be The Change You Wish To See In The World” and the relevance of peace and non-violence in recent times. 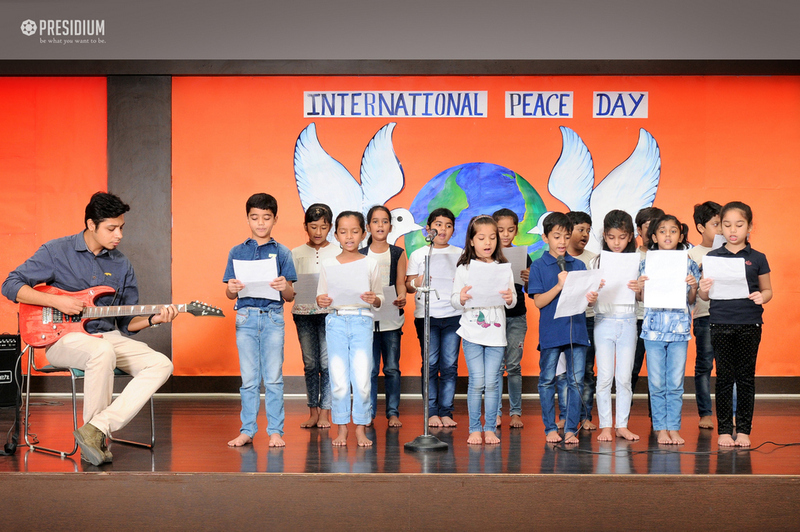 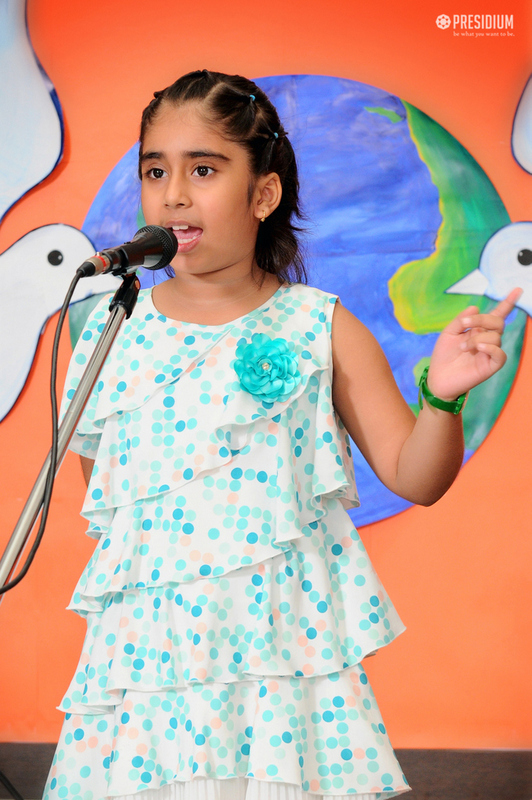 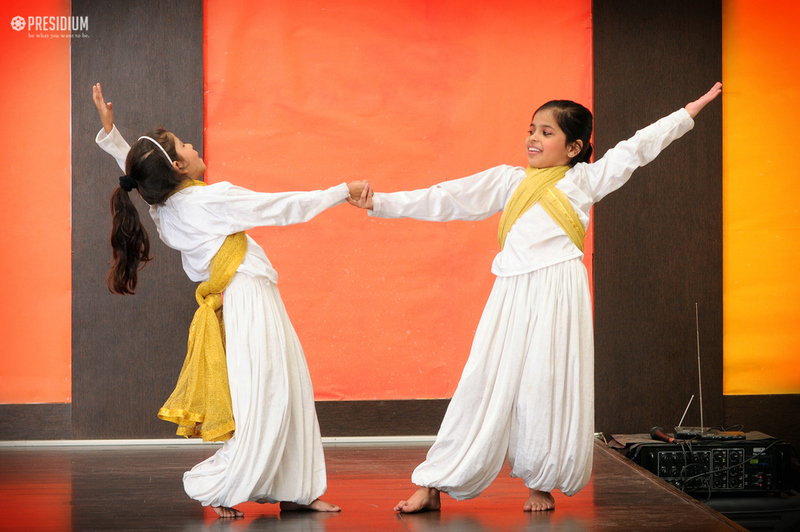 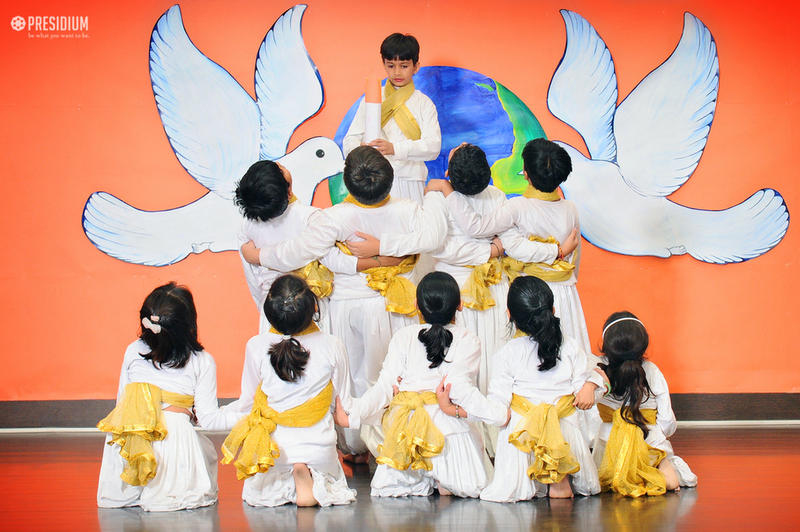 Peace Day is marked every year at Presidium Raj Nagar to sensitize the children to the sufferings of war and its impact on humankind and how peace can be a stronger weapon than war.